With the holidays in full bloom, several Dallas restaurants are offering limited bites that range from seasonal offerings to sweet treats. Available through Dec. 31, a limited-time menu offering for the holiday season will include seasonal dishes such as a rustic heirloom tomato, beet, and burrata salad, an Ahi tuna entree prepared with ginger chili sauce, and a 22-ounce bone-in ribeye accompanied with roasted carrots and Napa cabernet butter. 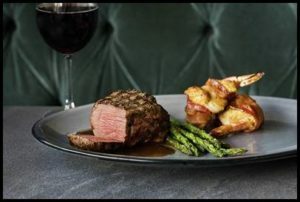 The Oak Lawn Avenue eatery also will offer a new wine released from Napa Valley that is a blend of Zinfandel, Petite Sirah, and Syrah – the Orwin Swift lush with blackberries, dark plum, and currants is said to be an opulent pairing to steak. In addition to the mouth-watering seasonal menu, Paul Martin’s is participating in the Dallas/Fort Worth Toys for Tots campaign. Guests can drop off a new, unwrapped toy through Dec. 13. The downtown French brasserie is saying “joyeuses fêtes” with a selection of holiday events that range from holiday lunches to a New Year’s Eve dinner. On the menus, chef Bruno Davaillon will deliver a Christmas Eve three-course dinner on Dec. 24 ($95) that begins with a crab and squash bisque paired with a crispy crab crêpe and end with a Buche de Noel (the French name for a Christmas cake shaped like a log). 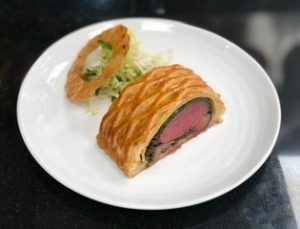 The main course is a Boeuf Wellington. On New Year’s Eve, two seatings will prepare Dallasites to ring in 2019. The first sitting is a three-course meal ($95) that culminates with a black forest cake. The second sitting ($155) is a five-course meal including a midnight champagne toast. 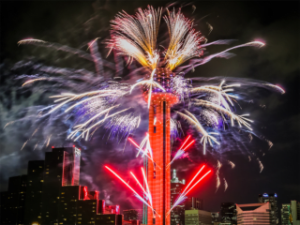 The downtown eatery is offering two ways to celebrate New Year’s Eve: Dine in style with a delectable tasting menu or say “cheers” to 2019 at a private party being hosted on the Cloud Nine party level with a front-row seat to the Reunion Tower fireworks show. The six-course tasting menu ($165) will include “steak and eggs,” a Japanese A5 nigiri with Kaluga caviar, Big Eye tuna tartare, King Crab, and Maine lobster salad; duck confit spring rolls with Perigord truffle, and a Bar N Ranch New York strip. Guests also are invited to enjoy the fireworks show in the reserved VIP section located directly outside Hyatt Regency. The private NYE Tower En Blanc party invited guests to don their grandest white attire to mix, mingle, and feast on an assortment of appetizers and desserts created by Five Sixty’s executive chef Jacob Williamson. Tickets for the private party, which include complimentary valet, are priced at $250 per person and can be purchased in advance on eventbrite.com. 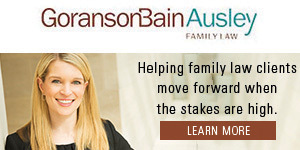 For information on party tickets or dinner reservations, please call 214-571-5784. Tis the season of stretchy pants, this Preston Hollow restaurant is putting a German spin on traditional holiday comfort food dishes. 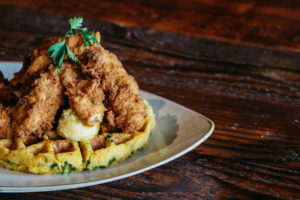 From fried chicken strips served on a jalapeno cornbread waffle and topped with honey-orange butter, black pepper gravy, and maple syrup to a truffle mac, these offerings promise to provide a nostalgic feeling of well-being. Are you hosting the family for Christmas and have no time to prep a meal – or just don’t want to? The European style market with six North Texas locations is offering a Christmas menu of chef-crafted meals available for pick up between Dec. 20 and 24. All orders must be paid before pick up by Dec. 23. Guests can order online at Eatzis.com/Christmas. In addition, Eatzi’s Gift Guide items will be available in-store Dec. 7 until Dec. 24. In honor of all things sweets and treats, Velvet Taco is offering their signature red velvet cake in a full-sized take-home version through Dec. 31. 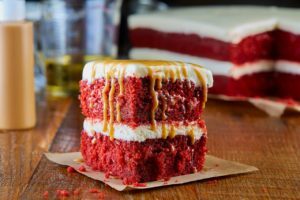 The popular dessert is made with a light red velvet cake layered with cream cheese frosting and covered with a signature Cajeta (Mexican caramel) sauce. The cake is available for $49 and must be ordered at least 24 hours in advance by calling your local location – the number to the Preston Forest location is 469-436-8226. 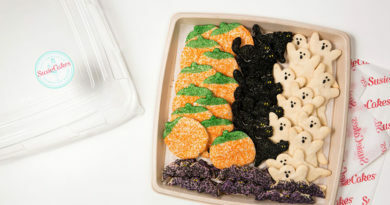 The all-American bakery is looking to make the holidays a bit sweeter with Christmas and New Year’s desserts. 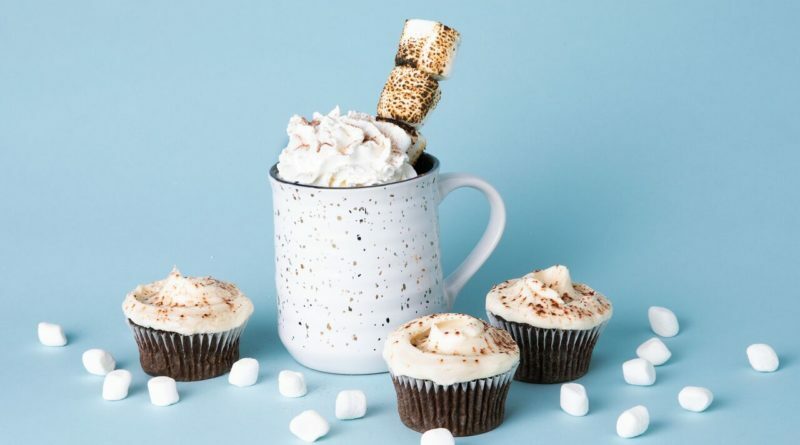 To kick off December, hot chocolate cupcakes (available through Dec. 24), chocolate candy cane cake (available through Dec. 31), and holiday-themed sugar cookies are adorning the menu. 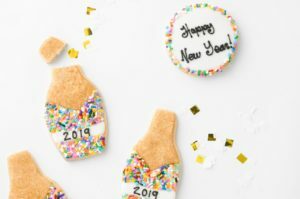 To help ring in the New Year, champagne cupcakes and mimosa cupcakes will be available from Dec. 28-31 individually or as a party platter with an assortment of 18 cookies. If food isn’t on the top of your agenda this holiday season, libations might be of interest. A “Deck the City Hall” cocktail class will take place Dec. 20 at the European bistro. The class, beginning at 6:30 p.m., will be led by bartender Morgan Moore and will give guests tips to impress this holiday season. 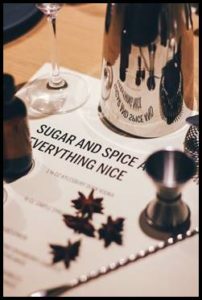 After a champagne welcome, guests will learn how to make two holiday-themed cocktails, the Sugar Spice & Everything Nice and the Winter Spiced Old Fashioned. Tickets are $40 a person and can be purchased by clicking here.